This morning was very calm on the creek and it turned out to be a beautiful last day of November. 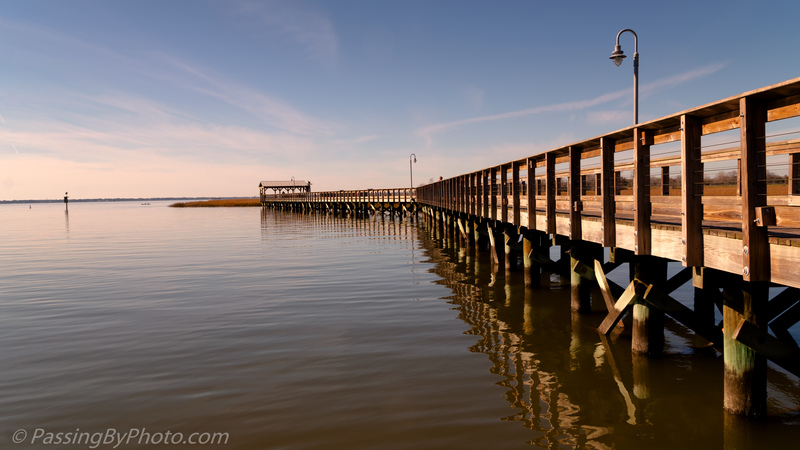 I was standing on a floating dock that is offset from the boardwalk giving a nice view towards Charleston Harbor. It was hard to decide what to make level when processing this image and no matter what I chose something looked off. Gorgeous shot, Ellen. I love walking there. Thanks, Gina! It is a pretty spot and is often good bird watching. That seems such a perfect photo to me, its awesome Ellen! Thank you, Liz! Glad that you liked it. It is one of those places you can go over and over and see such different things.